It was definitely the right choice to go via the Machame Route. Ideal acclimatisation, sensational impressions of Kilimanjaro and of course the fact that all five of us summited and got safely back down again. This makes us, Barbara, Viktoria, Karl-Herrmann, Niclas and myself very very happy! I would like to mention our accommodation in Moshi, the Shah Mountain Inn. The staff is very dedicated and the meals excellent. We enjoyed our time there a lot. I would also like to commend the mountain crew. They accompanied and supported us on the mountain with utmost care and confidence. We felt safe at all times and were very well taken care of. Thank you to Brighton and his crew. 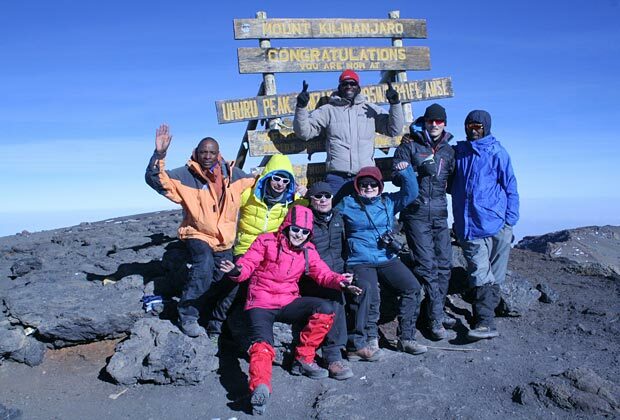 Of course, we mustn’t forget the Kilimanjaro-Experience team on the ground: THANK YOU, CHRISTIAN! Zanzibar did us the world of good. The perfect beach, the Indian Ocean and our super nice hotel added to the mix and we thoroughly enjoyed our days there.